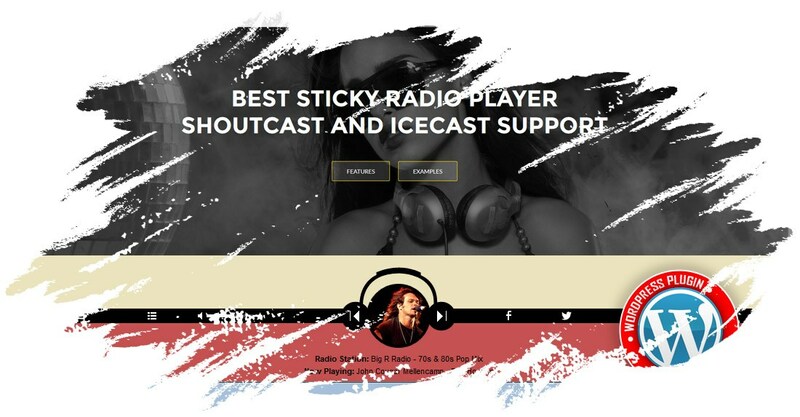 Sticky Radio Player WP Plugin supports Shoutcast and Icecast radio streaming. The player uses Last.FM API to display the photo of the current playing singer. In addition you have over 70 parameters from where you can customize your player. Therefore it includes: autoplay, initial volume, playlist, categories and color parameters. The radio player can be used in websites which are responsive.